To find an investment club near you or to find out what is involved in forming your own club, vist the National Association of Investors Corporation (NAIC) website at http://www .betterinvesting.org. 1. Current market value of assets. It is troubling that traditional accounting methods do not provide for accurate reporting of asset values. The balance sheet is supposed to summarize a company's equity value, but so many of the accounts on the balance sheet are inaccurate. One of these is the capital assets section. Many of these assets may be valued far higher or lower than the net value reported. A good example is real estate holdings. Under the accounting rules, buildings lease commitments liabilities under contract, often long-term, to pay rent for equipment, rights, or real estate. These liabilities are probably not recorded on the financial statement of a corporation and can only be found in the footnotes. are reported at their original purchase price; and that value declines each year because depreciation is claimed over time. This diminishing asset may, in fact, be increasing in market value and today's true value is likely to be far higher than the reported value. The unreliability of the asset account is disturbing by itself. This also affects the book value of equity and as a result, the book value of stock. So, in essence, you are asked to decide whether today's price per share of stock is reasonable, even though the financial information you have available is outdated. The financial statement's footnotes may include an estimate of fair market value for real estate and other assets. If not, you may need to call the company and ask for more information. 2. Current amount of unrecorded liabilities. Just as the true value of assets is not reported on the balance sheet, many liabilities are simply left off; they are explained somewhere in the footnotes. Two major areas may be lease commitments and pension liabilities. A lease commitment is the liability owed to lease equipment or real estate. It exists under a contract so it is an actual liability; but under the accounting rules, lease commitments are not always required to be listed. Of even greater concern is the unrecorded pension liability—that is, the amount the company is committed to pay retired employees, present and future, for their retirement benefits. In many corporations this is a huge liability and, were it recorded, the corporations would be bankrupt. General Motors, for example, owes more on its pension liability than its net worth. This is a disturbing shortcoming in the accounting and reporting rules, and the information can only be found in the footnotes. 3. The potential liability known to the company from lawsuits. Companies may be advised pension liabilities the amount of money due to retired employees and accumulating in the accounts of current employees and due in the future. Pension liabilities are often substantial, but are normally not recorded on the balance sheet and can be found only in the footnotes to the financial statements. that lawsuits have been filed or are about to be filed against them. These may be individual or class action and, in many instances may end up costing the company millions or even billions of dollars. However, until a case is filed and either tried or settled, accounting rules do not require the company to list these as actual liabilities. Footnotes will disclose any contingent liability of this type, but they are not highlighted in the financial statements. 4. Changes, if applicable, in accounting methods. While accounting rules are complex and often confusing, some significant decisions might have been made that affect what you see on the financial statement. These may include methods for valuing inventory, accounts receivable and bad debt estimates and reserves, and other accounting matters. Trying to read the footnotes and understand (1) the nature of changes and (2) how they impact the profit or loss shown on the financial statement is not a simple matter. 5. Impact of accounting decisions as to the timing that revenues, costs, or expenses have been recorded. In addition to changes made in accounting methods, corporations may also have made decisions about the timing of reporting transactions. One of the more common practices in the widespread corporate scandals of the 1990s was the practice of prebooking revenues. Companies may simply make up the numbers, in which case it is outright fraud; but the smarter ones try to document a justification under the GAAP rules. There are numerous ways to "create" a justification for inflating revenues. First, revenues can be recorded although services are not going to be provided until later. Second, recording might occur before goods are shipped or orders accepted by customers. Third, revenues are booked even when customers have not actually placed orders, thus they are only estimates of future orders. Fourth, a corporation may book sales to its own subsidiaries or partners to create a higher dollar value. All of these practices are deceptive. Even if corporations can get auditors to approve their timing of revenues improperly, it eventually contingent liability a potential obligation that may or may not become an actual liability in the future, such as pending lawsuits filed against the company. comes around and leads to future adjustments. The same kind of adjustments may occur with costs and expenses. For example, expenses can be reduced by capitalizing them and writing them off over several years. This is not an especially imaginative technique, but it does increase reported profits this year. A more subtle approach is to change accounting methods so that some of this year's expenses are moved to a previous year. It is more subtle because, to appreciate the impact of this more subtle tinkering, you need to look at a series of financial statements. Many people simply ignore restated past statements, but this opens the possibilities up, especially for the creative accounting executive: Increasing this year's profits by moving expenses back in time to the previous year. 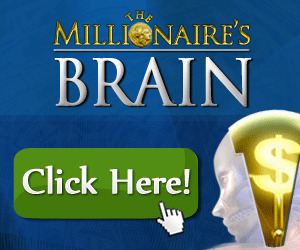 Learning About The Rules Of The Rich And Wealthy Can Have Amazing Benefits For Your Life And Success. 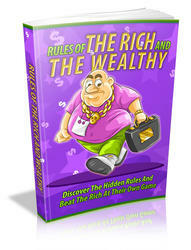 Discover the hidden rules and beat the rich at their own game. The general population has a love / hate kinship with riches. They resent those who have it, but spend their total lives attempting to get it for themselves. The reason an immense majority of individuals never accumulate a substantial savings is because they don't comprehend the nature of money or how it works.